HILL TRIBE SILVER LITTLE LEAF CHARM. Each piece is approximately 12.5 x 23 mm in size. The price and weight given is per piece. The minimum order is 5 pieces. This Karen Hill Tribe charm was made by the talented hands of Karen Hill Tribe people, who live around Northern Thailand. 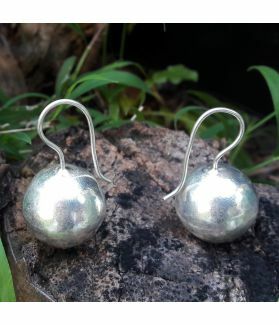 With a high silver content of 99%, Hill tribe silver is also referred to as “fine silver”, with a softer texture than sterling silver, but obvious higher quality and minimized tarnishing. 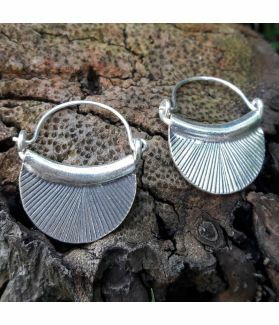 The fascinating skills handcrafting has been passed down generations for over a century, and later developed into specifically designing unique pieces of silver. Because it’s hand-made, not a single piece, even with the same design, is exactly the same; some may vary slightly in size. 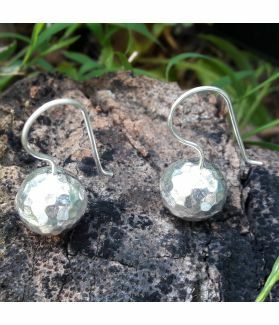 This means that every piece is truly a one-of-a-kind art work, and would therefore add a sense of individuality to your finished jewelry creations.